Our blind justice sculptures also highlight a piece that will do nicely as a display piece for a cabinet or table. 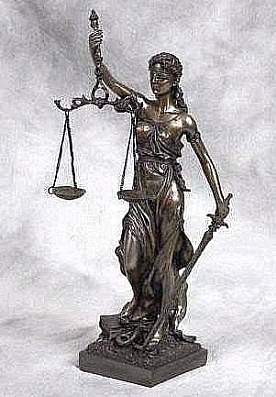 Lady Justitia holds a balance in one hand and a sword by her side. Made of resin and marble aggregates. Beautifully detailed.